In 2010 I spoke at the first Christ at the Checkpoint Conference in Bethlehem. I gave a talk called “It's All About Jesus: A Personal Journey.” I chose that title because my engagement in the Holy Land was a very personal attempt to follow in the way of Jesus. I had been spending considerable time in the region and was brokenhearted by the suffering that resulted from ongoing and violent conflict. I believed that what Israelis and Palestinians, Jews and Arabs, needed most was to see Jesus incarnated in his followers in the Holy Land. I came to Christ at the Checkpoint with the desire to encourage and lift up the Christians in the land. To stand in solidarity with them. At the same time that I’ve been encouraged, however, I have also been greatly discouraged—especially recently—by the increasing number of blogs and articles and emails written about or to me that question not only my theology, but also my motives, my calling, and my intelligence. Some of the essayists make a strong case that the birth of the modern State of Israel in 1948 and the ingathering of the Jews to the Holy Land is a fulfillment of Old Testament prophecy that’s tied to end time events, to the second coming of Christ, and to a particular physical place. Others focus on Jesus as the fulfillment of Old Testament prophecies, on access to God’s blessings being available to all who are grafted into the community of God’s people, and on God’s Kingdom as a spiritual Kingdom not connected to a physical place. But running throughout all the chapters of the book was an image of Jews and Arabs, Israelis and Palestinians, living together in the land in peace. 4. I believe the ongoing military occupation of the West Bank and the continuing blockade of Gaza is a violation of human rights; as such, it deeply harms the security, freedom, and dignity of both peoples. The very fact that I use the word “occupation” has led some people to judge me as an enemy of the State of Israel; they have told me the only “occupation” is the one perpetrated by the Arabs who are occupying the land of Judea and Samaria that belongs to the Jews. The other reason is that I’ve traveled to the Holy Land specifically in search of those who are committed to nonviolence, forgiveness, and reconciliation. Interestingly, those voices of peace have come from a variety of directions. While I believe Jesus is the Prince of Peace whose power will ultimately unleash peace, I have met Muslims and Jews, who may or may not give any conscious consideration to Jesus, but who seem to be living out Jesus’ ethic of peacemaking. In fact, they often challenge me to take Jesus’ way of living more seriously. As I get to know them and become friends with them, I pray that the gentle community we create will become a space in which Jesus can do his best work of healing, redeeming and transforming each of us in the ways we most need. 6. While I hope and pray for an official diplomatic resolution to this conflict, I recognize that what happens on the grassroots level of relationships is equally as important as any political peace plan. And we are all positioned perfectly to make a difference there, as we build little enclaves of peaceful relationships from which peace can bubble up. So, there was a rather high degree of emotional "rawness" in the gathering. While that rawness could have pushed us all to put up protective barriers, it actually had the opposite impact. 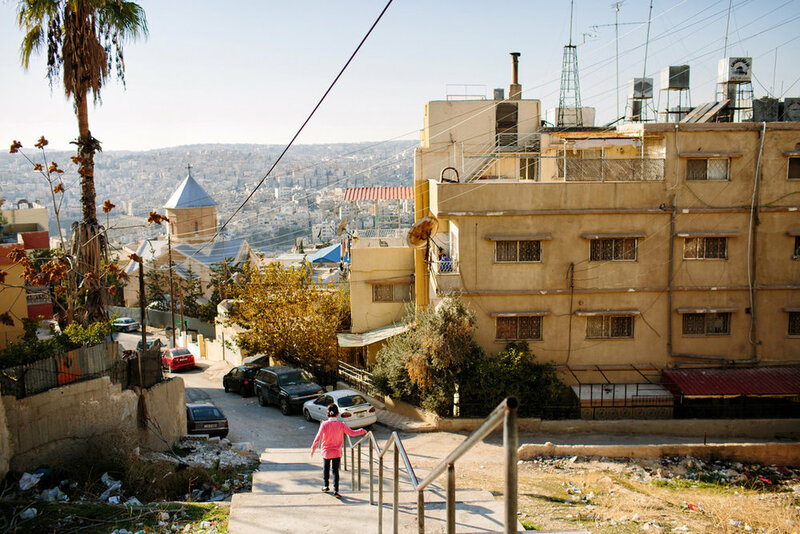 There was an unusual level of honest communication and vulnerability, with Israeli and Palestinian women talking about the fears they have for their children and the loneliness they often feel as women committed to peace and reconciliation. I'm telling you this because I left that gathering deeply moved by the potential women have to establish healing relationships, and to advocate for human rights in a profoundly personal and captivating way. One thing we speakers were asked to do in our presentations today is to share what we believe we can do for the sake of peace. I have concluded that one of the most valuable things I can do is to create more and more connections between Palestinian, Israeli, and American women—which will be my focus in the future. My goal will be to remind American and Israeli and Palestinian women that we do, in fact, belong to each other, and together we can do a work for peace that we could not do without each other.